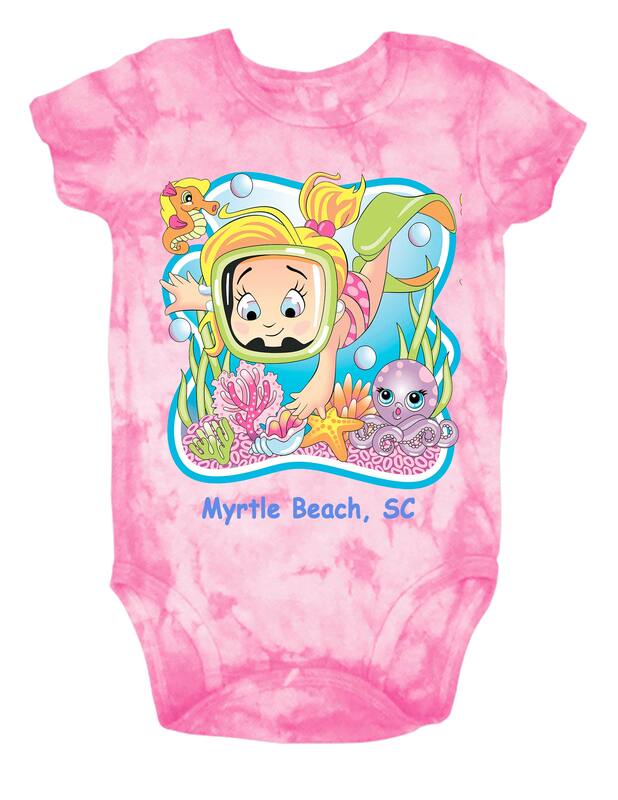 Baby onesie 100% cotton soft to the touch, with background print and beach print. 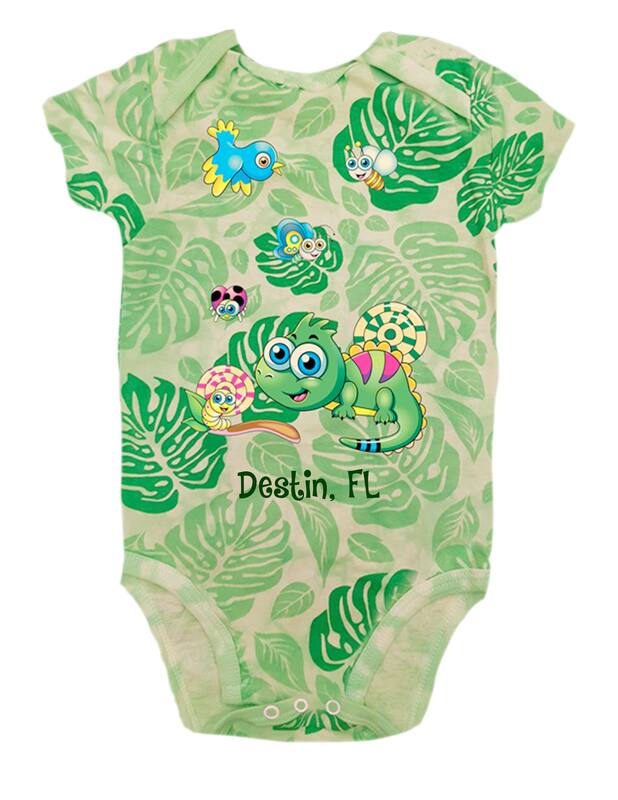 Baby onesie in cotton and fresh colors with big mouth applique. 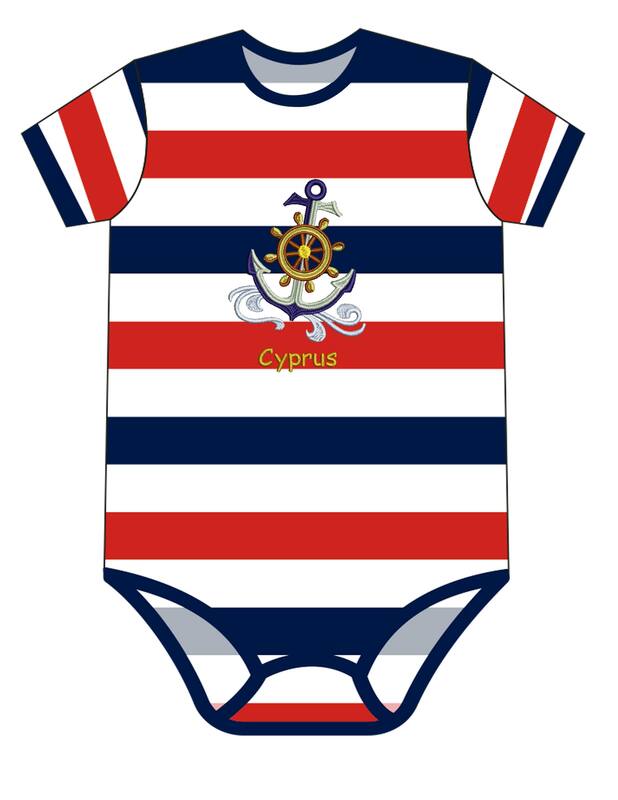 Baby onesie in cotton with navy stripes background and embroidery. 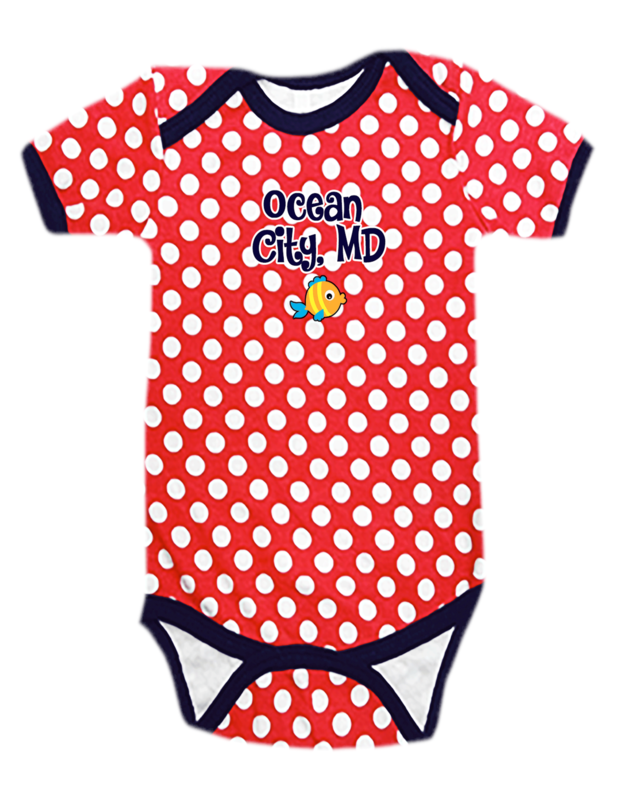 Baby onesie in polka dot cotton with embroidery.